Reward for your current members to invite their friends. Offer for friends that join from your member's invite link. 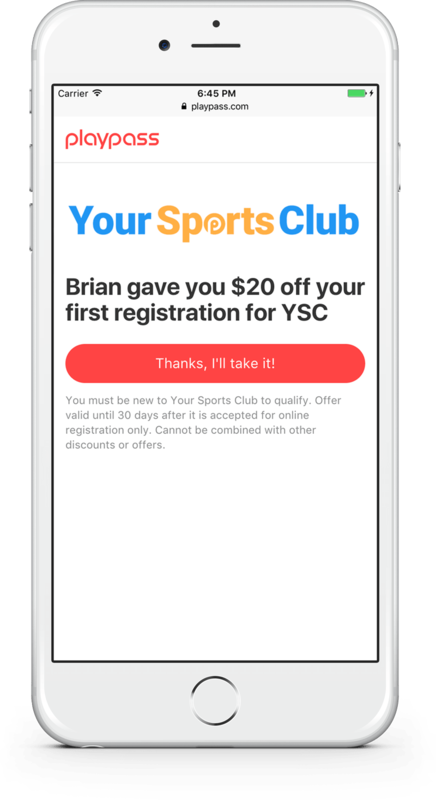 Set a reward for members to refer friends and set an offer encouraging those friends to join. Both the reward and offer are redeemable on any of your registration activities. It's easy to create a referral program for your archery organization. Help your biggest fans, your current members, become your marketing team. We give your members a personal invite link they can share with friends. You decide what rewards to offer. We track everything for you and automatically give out rewards. Create a new schedule, registration activity, referral program, waiver, or archery website.